Palo Alto-based Relonch has unveiled a new photo service that gives members a free camera with a large sensor and just one button. Photos are immediately transmitted over LTE for processing using Relonch's proprietary Pictured Technology and are then delivered to your smartphone the next morning. You are only charged a dollar for any photo you keep. Relonch Camera. One button, no zoom, no flash, no LCD. "Every one of my friends bought a top-of-the-line camera to get the striking photos they wanted," CEO Segey Korzhenevich begins the story. "And the more they wanted those photos, the more expensive the camera they were willing to buy. In the end, every one of those cameras (regardless of if they cost $400 or $4000) ended up on the shelf gathering dust after just two months of attempting to capture amazing images with them." Back. No LCD, just like the old days. Cameras are just too complex (as we pointed out recently). But smartphones are easy. Just one button -- the Shutter button -- and you've got a photo. So the company came up with a prototype iPhone case in time for Photokina 2014. The rather bulky case included a portrait lens and a large sensor. But there was a problem. "We realized that a hardware solution was not enough," Korzhenevich said. "Photos taken under poor lighting conditions with an imperfect white balance needed a software fix as well." So they developed an app for that. The app's key feature was its Lighting Condition Adjustments, "which factored a photo's particular lighting conditions into the development process," Korzhenevich said. That became the basis for Relonch's Pictured Technology. Korzhenevich points out that Relonch is designed to appeal to smartphone users who are disappointed with the photos they take and perhaps moved up to a dSLR only to be dismayed at the complexity. With Relonch the benefits of a large sensor and better optics with the simplicity of a smartphone camera app are married to proprietary post processing before delivering an optimized to image to the photographer's smartphone. 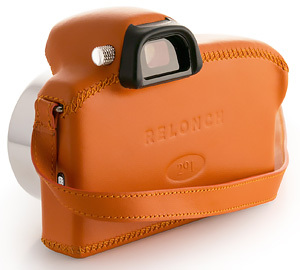 Relonch doesn't publish specifications for its Model 291 camera, which is encased in various colors of leather, including black, brown, orange, yellow and blue. It has no LCD on the back, an optical viewfinder with a diopter for what appears to be a portrait lens (fixed focal length slight telephoto), a Shutter button and a curious data port on the left side. There's also a mystery button on the top panel. Missing from the camera is any kind of flash. "We believe that natural lighting, even in low light, makes a photo real, alive, and remarkable," the company says. And, no, that lens won't zoom. "Having a zoom is handy," the company admits. "However, a good zoom is heavy, huge and expensive. Everything else compromises picture quality. We picked the ideal lens for shooting in any conditions. The best way to get a close-up shot is to actually get close." But you do get a camera strap and it isn't interchangeable but sewn onto the eyelet. 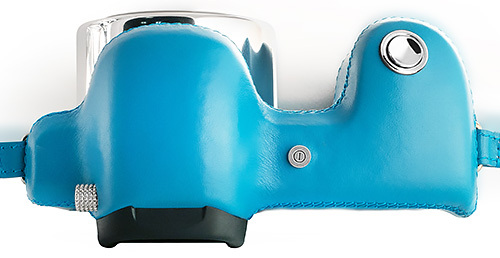 It's leather, matching the color of the camera body's leather. And the camera does have a SIM card to store the images it is uploading. We've asked Relonch a few questions about the hardware and will update this report when we have answers. Relonch provides a number of before-and-after images on its site to show off its Pictured Technology post processing of the captured data. What the company says about its post processing is that it is not a filter and an auto enhancement but something more like computational photography. It isn't clear if there's any human involved. Every object within a frame is processed independently based on the company's professionally edited photo stacks and algorithms. Members will see a great difference between Relonch photos and ones where you apply a single filter to the entire photo. Given that lighting conditions are factored into the algorithms, photos actually look like what you pictured. An array of pixels, however, does not easily lend itself to recognition of objects. And, as we've seen with other image editing software, the art advances year by year. How are you going to apply the newest advances to your old images? Most of the images have some sort of vignetting applied. Backlight subjects seem to get a heavy dose of single-image HDR applied to bring out the detail in the shadows. Saturation on some images is increased. The example above illustrates some of those points. But don't try this at home. You can't get from the captured image to the processed image because the captured image is a JPEG. We'd be surprised if the capture wasn't a Raw file. A Raw file would provide the post processing routines more data to work with -- more detail in the shadows, more in the highlights -- than a JPEG. And while smartphones are starting to support Raw captures, Raw files require post processing, which is not something most smartphone photographers relish beyond applying a filter. But that's where the big improvement in quality comes from when you move from a smartphone to a mirrorless or dSLR camera. Relonch will select and process your photos for you. Each morning, Relonch will directly deliver your best photos to the Relonch app. In addition, members will be able to select their favorite photo of the day to create a personal collection of your best 365 images, highlighting your life's best moments over the course of the year. Waiting until the next day to see your photos would have been considered pretty quick in the film era but it's likely to feel pretty frustrating in the digital age. In fact, the concept reminds us of another fellow who advertised, "You press the button, we'll do the rest." And we know what happened to George Eastman's idea. But having images culled for you automatically doesn't strike us as a good approach. That's a decision we'd like to reserve for ourselves. So what's this actually cost? "We've looked at lots of different business models (sales, subscriptions, etc.) and chosen the most fair and honest one -- payment based on results," Korzhenevich said. "To put this another way: if you want remarkable photos, we believe you should pay for the photos, not the camera. And only if those photos are truly remarkable. We also think that a remarkable photo shouldn't cost more than your morning coffee. So with Relonch, you will pay $1 for a photo that you might have been willing to pay $100 or even $1,000 for." That's the photo, though, not a print. But the photo isn't captive. It resides on your smartphone so you can push it to any cloud storage service or photo sharing site you like. And even print it yourself. But this isn't as inexpensive as it may at first sound. Count the images you've saved on your smartphone. Several thousand? Suddenly that camera isn't free any more. And it's never paid for either. In our case, this scheme would have cost us $60,000. So far. While the service won't generally be available until 2018, the company is providing three-day test drives to anyone who visits their Palo Alto showroom at 441 University Ave., which is open from noon to 6 p.m. every day. You can also bring your real camera to trade in for photos. Alternately, you can become a member of the service online by registering at the site. PALO ALTO, Calif. -- Relonch has unveiled its camera-as-a-service at the company's showroom located in the heart of Silicon Valley on downtown Palo Alto's main drag. With the press of a single button, Relonch 291 takes photos that automatically upload to Relonch's server over LTE for processing and distribution. This simple sequence solves for what Relonch refers to as the "chain of pain" associated with producing professional-looking images. You won't need to fuss with confusing camera settings, tedious file downloads, manual image sorting and laborious photo editing. "There's nothing valuable about owning a camera that collects dust on the shelf or that you don't know how to use" said Relonch co-founder Yuri Motin. "Our aim is to eliminate the countless complications associated with photography so we chose to create the camera as a service model rather than just hardware or software. Our service gives members the ability to solely focus on the experience, on the moment itself." A mobile application for receiving and storing your Relonch images. CEO and co-founder of Relonch Sergey Korzhenevich explains, "Even high-end cameras tend to disappoint most people because pictures rarely capture what they actually saw. Relonch members could be camera savvy but don't need to be because our preset camera and Pictured Technology takes care of everything." Pictured Technology is the Relonch approach to photo processing. Every object within a frame is processed independently based on the company's professionally edited photo stacks and algorithms. Members will see a great difference between Relonch photos and ones where you apply a single filter to the entire photo. Given that lighting conditions are factored into the algorithms, photos actually look like what you pictured. "The nuances associated with capturing outstanding photos make it hard for average photo enthusiasts to find true satisfaction. We know that will change if they switch to our camera-as-a-service model," added co-founder Nikolay Babich. "All you need to do is believe that you can take remarkable photos of your everyday life and find value in the simplicity of our process -- one-click, automatic upload and next-day delivery of photos." The Relonch mobile application is where you'll receive your processed photos. You'll no longer need to sift through thousands of Raw image files to find the best ones. Relonch will select and process your photos for you. 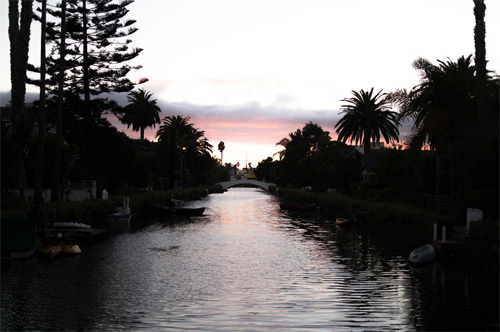 Each morning, Relonch will directly deliver your best photos to the Relonch app. In addition, members will be able to select their favorite photo of the day to create a personal collection of your best 365 images, highlighting your life's best moments over the course of the year. Founded in New York City, Relonch, Inc. is reinventing the photography experience with the world's first camera-as-a-service. 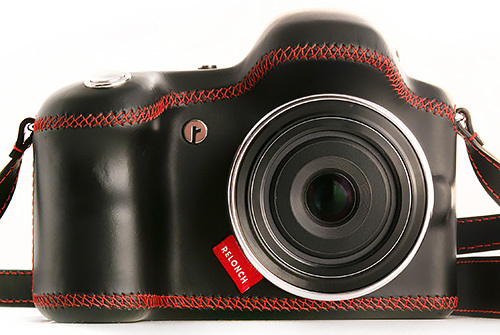 Relonch has reduced the complexity of professional photography to a single shutter button. See more on Instagram , Twitter , Facebook or in person at the company's showroom.